Eiji Watanabe gives these paper butterflies wings. Painstakingly cut from illustrated field guides, the butterflies are then showcased en masse - like a swarm of newly liberated creatures - to the walls and ceilings of this room. Previously on show at the Kenji Taki gallery, this incredible installation from 2009 calls attention to the mystery behind classifying and naming things. We’ve been privvy to some pretty amazing art on Inhabitat, including this toothpick rendition of San Francisco. What many of these pieces have in common is the extraordinary patience associated with their development. Watanabe cut out hundreds of butterflies of varying sizes to create a colorful, vibrant, and altogether curious effect. 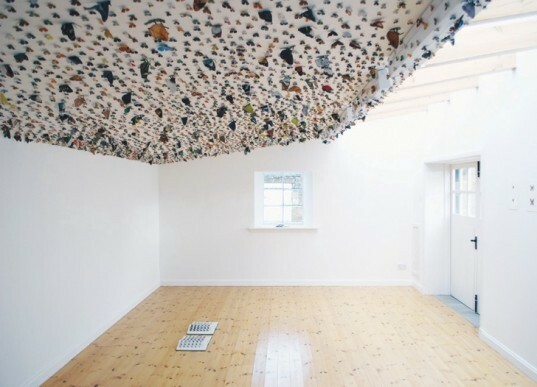 We think his installation creates far more butterfly appeal than some stinking field guide! 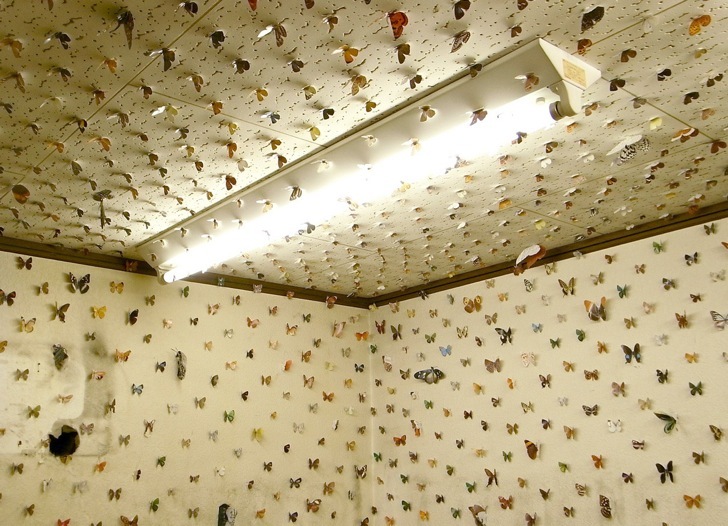 We think the installation creates far more butterfly appeal than a field guide!